Golden Colts online slot presents a Wild West adventure via objects and characters that flourished during the Old West era. Alike images of Bandits, Sheriffs, Gamblers and Gunslingers may land as high-pay combos in any of 40 paylines. 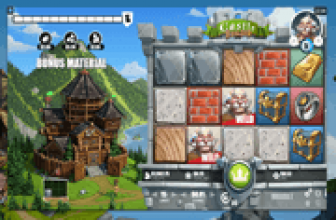 The images may develop Colossal icons, or occur as stacked symbols when featured as main element of a Bonus Game. Some also awards a respin, or lets players spin on until a win is achieved. The most exciting bonus event is the Most Wanted feature. The latter presents a Pick Game that awards instant Cash Prizes, and/or any of the 6 Free-Spins Rounds. Players may even garner an extra chance to play another free-spins feature; or collect more cash bonuses. After all, the Most Wanted Pick Game ends, only if a poster reveals a designated Final Prize or an X Mark. The Golden Buffalo Skull image poses as joker card that can represent any regular-paying icon. At the same time, it can also form a winning combination when three or more land as matched elements in appropriate payline positions. Three, four, or five Buffalo Skull Wilds organizing as winning contents of any payline, award 40x, 150x or 500x the Coin Value staked as Line Bet. Law of the Wild is a 3-Free Spin bonus bout, featuring the highest paying Masked Bandit as win-boosting element. The featured icon appears as Stacked Symbols in Reels 2, 3, and/or 4. If a Law of the Wild Bonus Spin produces 3 full-reel Sheriff images, a 3 x 3 Block of this icon will appear. The large Sheriff image locks in place, while Reels 1 and 5 will launch a respin. Gunslinger bonus round also awards 3 Free-Spins. This bonus game awards a random Win-Multiplier that could be as high as x30. 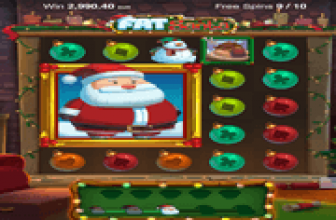 Poker Play Bonus Game optimizes 3 bonus spins with a large 2 x 2 Sticky Gambler image. During the brief bonus bout, the Gambler acts as Extra Wild, and awards a respin if another Gambler icon comes into view. Furies Bonus Spin activates free rolls of the bonus grid indefinitely, as this bonus feature ends only if a win has been achieved. The Girl Gunslinger is the main bonus game character, with the image occurring as a Sticky 2 x 2 Block of Symbols. Aces High Gang is a free round played on a special grid that constantly displays a 4 x 4 Mega Symbol. Any of the four Old West characters, the Masked Bandit, the Sheriff, the Gambler or the Female Gunslinger, as well as the Buffalo Skull Wild may appear in Reels 2, 3, 4, and 5 as a colossal symbol. Players will receive three (3) Free-Spins in every Aces High Gang Bonus Round. Wild Bonus Game – also awards three (3) Free-Spins to run on a special grid in which 1 up to 2 reels emerge as full-reel Buffalo Skull Wilds on every roll. Most Wanted Pick Bonus Game presents 20 Most Wanted posters as pick choices that will reveal a bonus feature. Some posters may also award cash prizes, allowing players to pick another poster that will activate a free games feature. If on the first pick, or subsequent pick, a poster reveals one of two (2) Final Prizes: Aces High Gang or Wild Bonus Game, the bonus game is deemed as complete. Revealing an X mark will also end the Pick Bonus Game instantly. Golden Colts online slot comes with a Bonus Segment that awards 1 of 7 Free Games, including a Pick Bonus Feature that could set off another type of Free Games, and/or award instant Cash Bonuses. 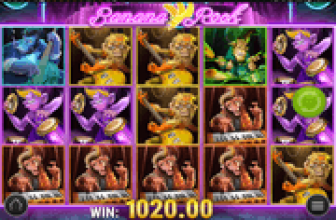 Each Free-Spins Bonus Round comes with a win-boosting element such as Sticky Colossal Symbols, Respins, or Full-Reel Stacked Symbols of a featured Old West icon or of the Wild Symbol.